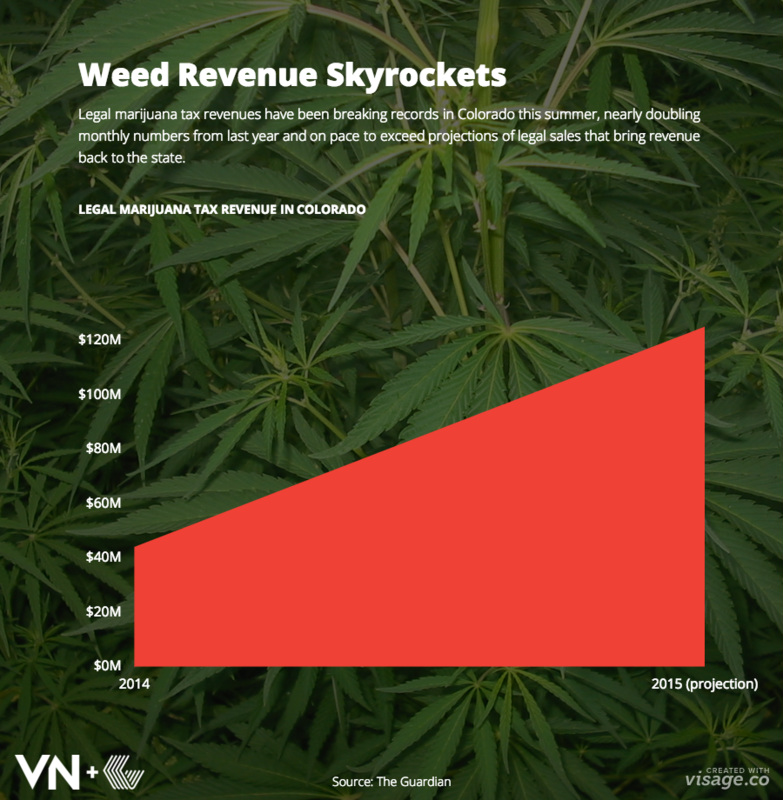 Legal marijuana tax revenues have been breaking records in Colorado this summer, nearly doubling monthly numbers from last year and on pace to exceed projections of legal sales that bring revenue back to the state. Through the first seven months of this year, Colorado has brought in nearly$73.5m, putting the state on pace to collect over $125m for the year. In 2014, experts predicted legal cannabis would bring in upwards of $70m to the state’s tax coffers. In reality, the state collected just $44m in marijuana taxes. Either way, Colorado has already brought in more tax revenue than in 2014, and is showing no signs of slowing down.